Interior Center Console assembly. See photo to the right. 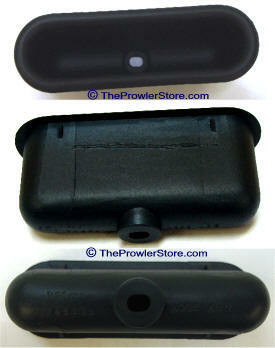 Inserts and attachments such as CD storage box, lid cub holder, ect are sold separately. 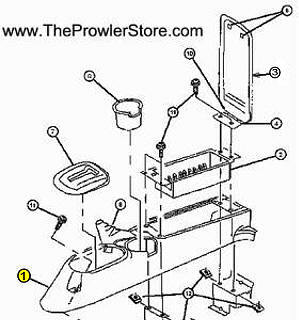 *Part #3 in the diagram to left is the Lid. It is not available new any longer. Check to see if we have a used one. **In addition, we can repair the surface of your old lid to make it look new again. IH-INTER-RESTORE Plymouth Prowler Interior Restoration Service WOW Like New again! 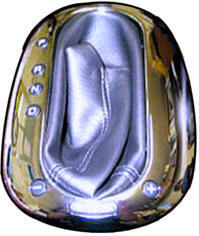 Turn your old scratched up center console lid into looking brand new with our restoration service. You won't believe the difference! Your deep scratches are gone - Like new! Include your name address, phone number, and email address. 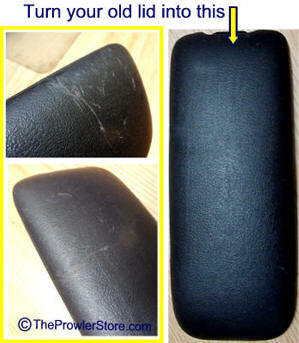 **Send via UPS and insure package for full replacement value. 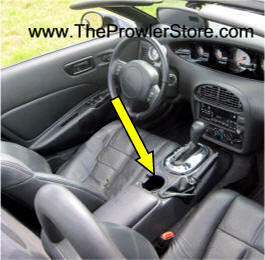 Interior center console Cup Holder that is located between the seats. 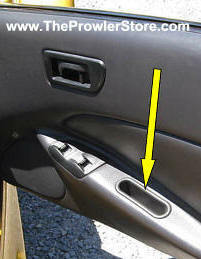 This was the last door arm cup produced by Chrysler. It is Chrysler part number HE36LAZ-AB which Chrysler sold as the final replacement cup for ALL Prowlers. 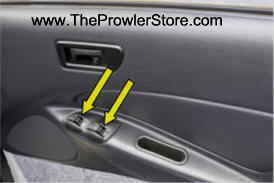 Fits all Prowlers drivers and passenger doors. This item is an exact duplicate of the original in size, appearance and fit. Painted to match factory interior color of part number HE36LAZ. Cup portion which is only visible part once installed is painted to Chrysler/Plymouth Prowler interior paint code to match original. Aftermarket part made identical to original to part Chrysler number HE36LAZ-AB - not available through Chrysler. This is for one (1) cup. Original factory OEM shifter bezel. 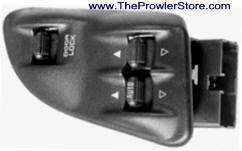 Choose Black plastic (97-99) or Chrome with boot attached (00-02). 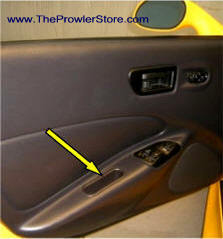 Dark Gray plastic trim bezel that fits around the door opening lever. Includes one door handle bezel. 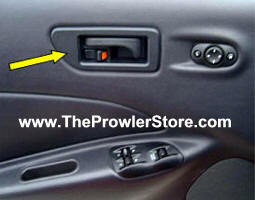 Located on the Drivers side door interior - Includes switch set for Passenger door window, Drivers door window and Door locks with bezel. 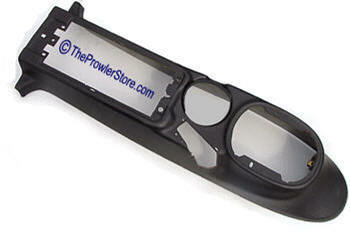 Includes upper plastic trim face plate "bezel" and switch mechanism. 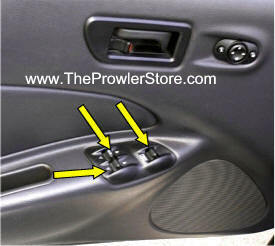 Located on the Passengers side door interior - Includes switch set for Passenger door window and Door locks switch set. 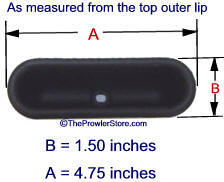 Does not include upper plastic trim face plate "bezel" sold separately (See below). 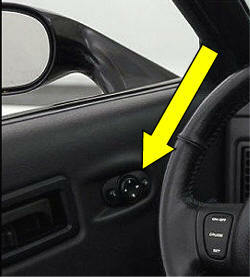 Located on the drivers side door is this factory mirror switch. Note:Chrome;Not sure exactly How to Order? Don't have a PayPal account?